Lawrence, Massachusetts residents have finally returned to their homes several months after a disastrous series of explosions, only to be faced with mounting utility bills. 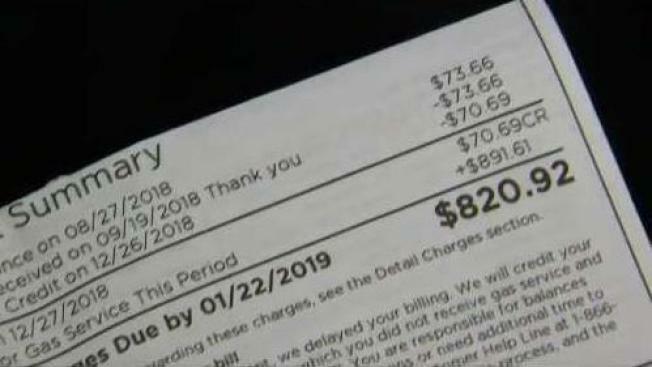 Paul Craney, one of the thousands of residents who were affected by the Sept. 13 tragedy, was greeted with an invoice from Columbia Gas stating he owed $820.92 for his gas bill. Residents have recently been receiving their first gas bill since the explosive disaster and have been caught off guard at the high cost. "We were hoping that people would get some communication beforehand about what they were expected of in their bills," Lawrence Mayor Dan Rivera said. Columbia Gas tweeted on Wednesday that Merrimack Valley customers who had their gas shut off as a precaution are receiving bills, and that anyone with concerns should contact the utility's customer service line at 1-866-388-3239. In response to the bills, Rivera set up an email address, mygasbilliswrong@cityoflawrence.com, that will also review residents’ concerns. "We'll try to get to the bottom of it, too," Rivera said. "The reality is, is that the last thing Columbia Gas should be worried about is making money off the people that they hurt the most." The Sept. 13 natural gas disaster killed a teenager, injured more than 20 people and damaged more than 100 structures. Authorities say over-pressurization during a routine pipeline replacement prompted the natural gas explosions in Andover, North Andover and Lawrence. Columbia Gas did not comment on the new utility bills.